I did a lot of teaching at Market Street last month. I always enjoy helping horses with their riders! The diversity in my students makes it very interesting. They range from adult amateurs to Olympic hopefuls and everything in between. 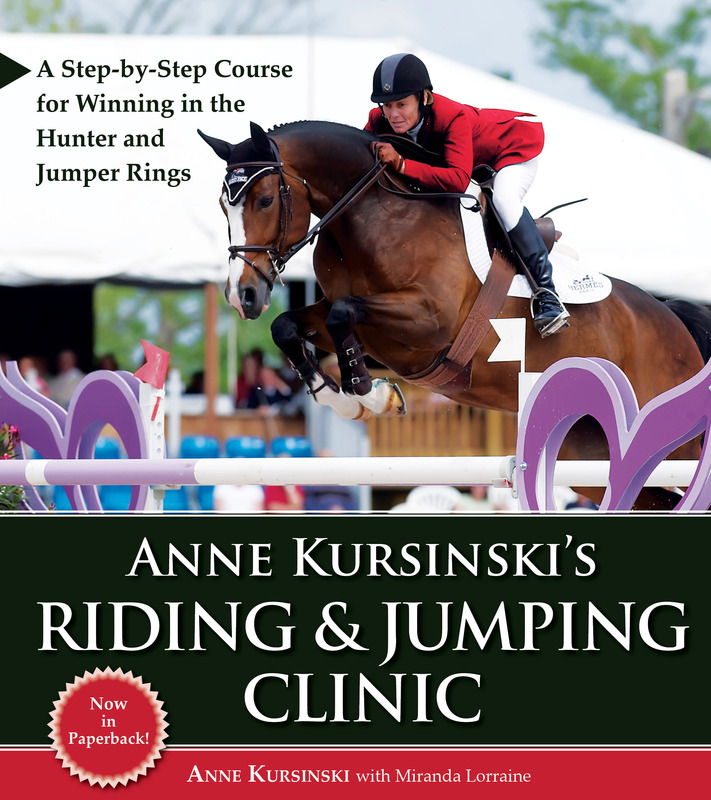 We filmed many of the sessions for my online instructional site, Riding and Jumping Mentor. I was able to attend a few sessions of George Morris teaching at Gladstone. He is always a tremendous inspiration. First, he rode a big grey on the flat. As he schooled the horse to "legs to hands", he told the audience how he was using his aids and why. This kind of teaching is so marvelous to experience. Watching the horse change to self carriage and oneness with the rider. George, in the moment describing each thought and feeling. Always a treat to observe. He then started schooling the 4 riders over fences. As he mentioned, I rode with him over these type of exercises for 17 years! It was indeed familiar and refreshing to watch and listen to his corrections, advice and philosophy. His stressing of the basics, always striving for excellence, keeping a high standard, guarding against laziness and that it's not only about riding, but management of the horses. He is a true inspiration to be the very best. Excellence is the only way! So much of his wisdom has created Champions and Olympians! 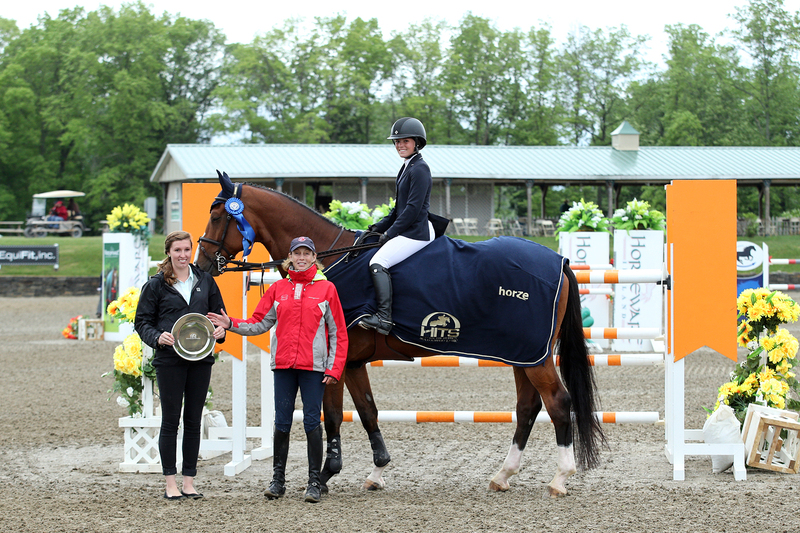 Thank you to the USET Foundation for creating this Gladstone Program. Thank you to George for sharing your wisdom, experience and passion! 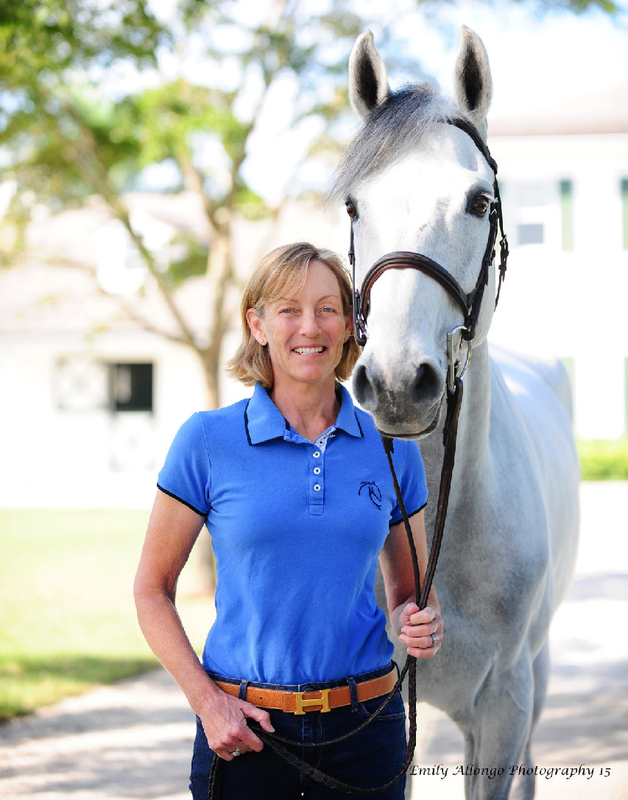 Our U.S. riders, horses and trainers need to understand your valuable lessons and insight. Are you sending mixed messages to your horse? How do you reward with your aids? Riders need to get inside of their horses, not just on top of them. Understanding our horses should always be a rider's priority. Is he hot, tired, sore or nervous? 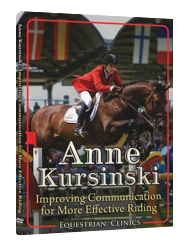 In this newsletter, you will learn about basic communication between horse and rider that will improve your relationship and riding. The basic language in which you speak to your horse is a range of pressures. An increase of pressure tells him he's doing something incorrect or something you want him to change; a decrease of the same pressure tells him he's got it right now. Of course, if you don't decrease the pressure when he does what you want, all he can figure is that he's still not right. So you must always be clear, consistent (the same degree of pressure to ask for the same change every time), and timely with what you tell him. And listen to his responses; if he's getting quick or laying his ears back, it might be because he doesn't want to work as hard as you 're telling him to - but it also might be because your mixed messages are driving him crazy. Look for what you might be doing wrong first; don't assume it's always his fault. At the most basic level, your seat and legs are your driving aids, and your seat and reins are your retarding aids. Your horse's "engine" is in the rear --- his propulsion comes from his powerful hindquarters - so you always ride him from back to front. In general, your legs control what he does with his body from the saddle on back; your hands control the forehand. Your seat acts as a mediator between your hands and legs, modifying or accentuating what they tell him. To get a feel for leg and seat pressure, once again place your hand on your thigh. That's your basic "I'm here" message. Now leave your hand where it is but gradually straighten your elbow until you bring your arm up to the vertical and press down with force (the degree you'd use to push your seat into the saddle). At every "level" along the way, hold the pressure for a moment to absorb the feeling into your body-language "vocabulary." You'll see almost no difference, but you will feel one. Come back to the "resting" pressure and absorb that for a moment more; then transfer that feeling to the contact between your calves and your horse's sides. When you want to go forward, you'll simply increase the pressure in both calves. To move over, you'll increase pressure in just one calf. In your hands, as in your legs, you want to feel, not hang. Have a friend grasp your hand and increase pressure from fingers just closed to what he imagines thirty pounds would feel like and back again. As with your hand on your thigh, you'll hardly see a change, but you'll feel the difference. In most cases, the pressure you put on your horse's mouth should just equal the pressure he puts on your hands; increase only to tell him you want a change. Make the increase equal to the change you want, and decrease as soon as you get a response. Want to become a more effective and feeling rider? Become a Riding and Jumping Mentor member! Now you can watch videos of my actual lessons with riders just like yourself. Benefit from the very lessons and exercises I've used throughout my career. These exercises have proven again and again to transform riders and their horses into top performers and get them well on their way to success.